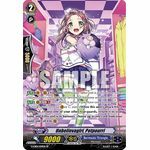 [ACT](VC)[1/Turn]:[Choose a face down card named "PRISM-Promise, Princess Labrador - SP" from your G zone, and turn it face up] If you have a heart card with "PRISM" in its name, choose up to two of your rear-guards, and until end of turn, those units get [Power]+5000 and "[AUTO](RC) When this unit attacks or boosts, at the end of the battle, you may return this card to your hand.". 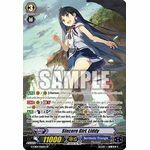 [AUTO](RC):When this unit attacks, if you have a vanguard with "Reit" in its card name, this unit gets [Power]+2000 until end of that battle. 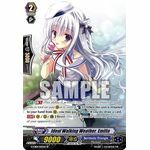 [AUTO]:When this unit is returned to your hand from (RC), if you have a vanguard with "Reit" in its card name, search your deck for up to one card named "Duo Fantasia, Ramli", reveal it your opponent, put it into your hand, and shuffle your deck. [AUTO](RC)[1/Turn] Generation Break 1 (This ability is active if you have one or more face up G units in total on your (VC) or G zone):When this unit becomes Harmony state, look at five cards from the top of your deck, search for up to one grade 3 or greater card from among them, reveal it to your opponent, put it to your hand, and shuffle your deck.